I’ve always been drawn to nature, wildlife and the fantastical. Those same themes are what show up in my art 95% of the time. The other 5% is reserved for Science Fiction and Horror. 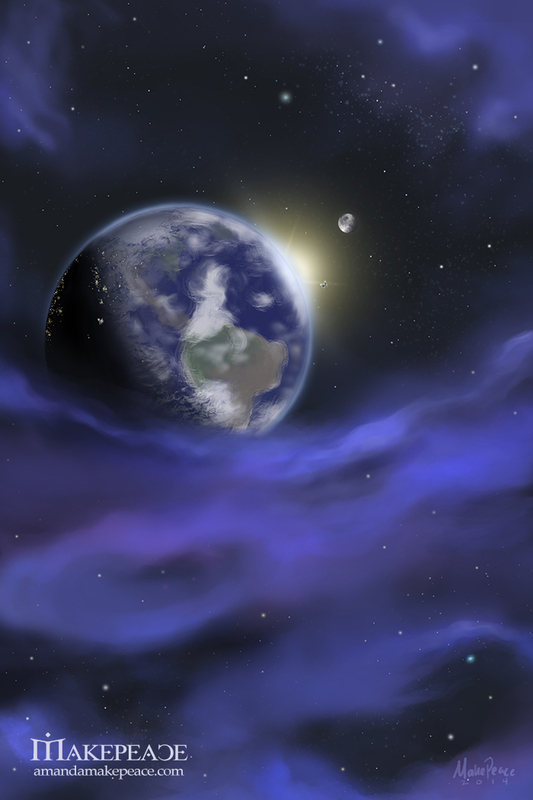 I’ve painted space scenes on canvas with acrylics and I’ve painted them with my Intuos in Photoshop. Space is wondrous. Space captures the imagination. I took Astronomy in college, just because I could. Though I’ve never been there I feel I know it, as we all do, through images from the Hubble Space Telescope. That’s where my story of space begins. I grew up with a cousin who worked for NASA. She’s an engineer who worked on the Hubble project. She lived with us for a time when I was 5/6 years old. Her influence left a lasting mark. Sleepers is my new commissioned painting from J Edward Neill. He’ll have some news here shortly about his new mini project, which will feature this painting. Painted in Photoshop with an Intuos4. I don’t have any plans to add this to my shop (that could change in the future), but prints are often available upon request. Also, commissions are now closed until after DragonCon. Oh, I forgot. I haven’t mentioned that piece of news on Tessera, have? I suppose that’s for another post. Tagged art, digital painting, inspiration, makepeaceart, NASA, SciFi, space. Rick took gorgeous astro photos with his telescope from our light polluted backyard. He had the equipment for it and a small observatory. That aside, we’re space junkies and all things celestial interest us. That’s prob why I like your space art (above) so much. And thank you. I you might enjoy this one especially.